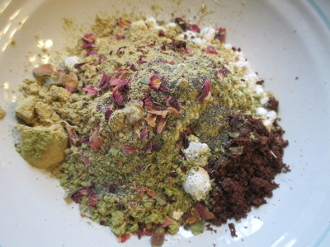 Created with clove, damiana, vanilla, patchouli, rose, lemon, lodestone and many other fine powders. thanks for looking! curio only.